Wonderful article by thesciencegeek.org about the history of Soyuz space ship. 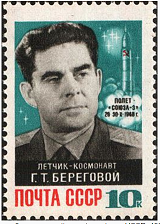 On 23 April 1967, six years after Yuri Gagarin had became the first man to go into space, a Soviet Soyuz spacecraft was launched carrying cosmonaut Vladimir Komorov. It completed 18 orbits and then returned to Earth. 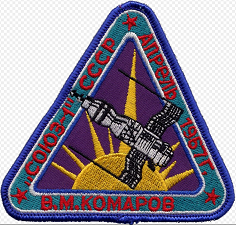 Sadly, during its reentry the parachute failed to open properly and the spacecraft was destroyed when it hit the Earth at high speed and burst into flames – killing Komorov and giving him the unfortunate distinction of being the first person to die in space flight. Director: François Truffaut. Starring: Oskar Werner, Julie Christie, Cyril Cusack. UK, France, USA, 1966. IMDb: 7.3. My rating: 3.5/4. Budget: $1.5 million. Dystopian science fiction. – Well, it’s a job just like any other. Good work with lots of variety. Monday, we burn Miller; Tuesday, Tolstoy; Wednesday, Walt Whitman; Friday, Faulkner; and Saturday and Sunday, Schopenhauer and Sartre. We burn them to ashes and then burn the ashes. That’s our official motto. – Here’s a book about lung cancer. You see, all the cigarette smokers got into a panic, so for everybody’s peace of mind, we burn it. – These are all novels, all about people that never existed, the people that read them it makes them unhappy with their own lives. Makes them want to live in other ways they can never really be.